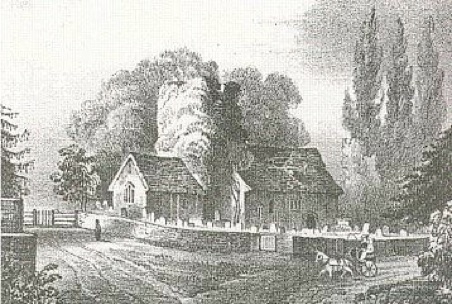 David Hurling Portsmouth b Slough 1829, son of James Portsmouth and Sarah Jones, married Sarah Lovejoy, b Reading 1833 daughter of Samuel Lovejoy and Elizabeth Dell, at St Mary's, Langley on 1st September 1850. 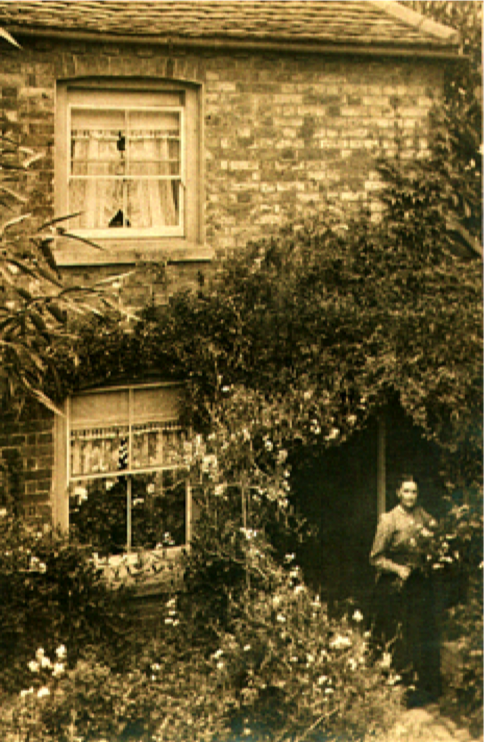 This picture, taken around 1900, shows Ellen Thorn in the garden of her home close to the Slough Arm of the Grand Union Canal. She used to sell bunches of flowers to anglers who came down from London at weekends. 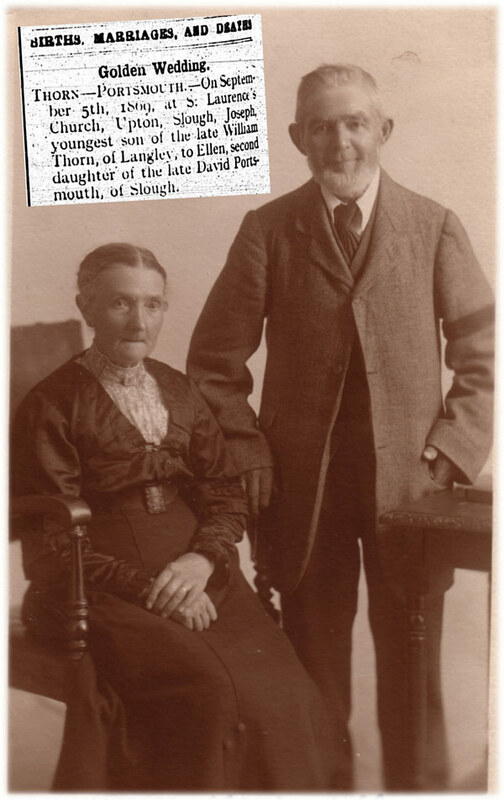 Her husband Joseph Thorn was a brickmaker. The opening of the canal in 1881 led to the development of brickfields from Slough towards Langley and Iver and gave easy transport to and from London. 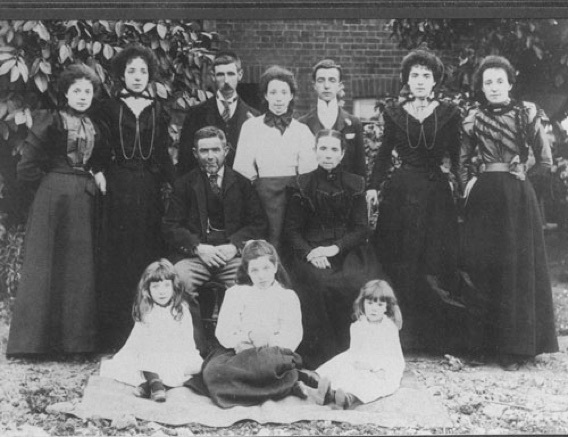 The Portsmouth family first appear in the Slough area as brickfield labourers. My great great grandparents William Thorn and Mary Ann Cheer were married here 21st October 1826, as were my great great grandparents David Hurling Portsmouth and Sarah Lovejoy on 1st September 1850. 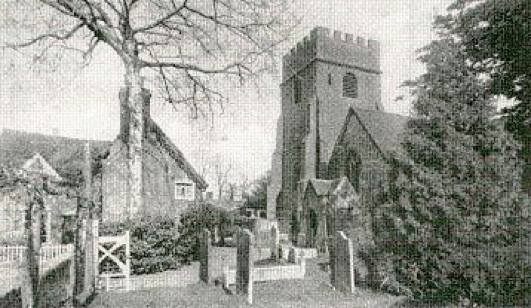 The Norman Church of St Laurence, although restored in 1850, still retains much original work including the doorway and font. My great great grandfather David Hurling Portsmouth was baptised there on 29 March 1829 and St Laurence's has since been the venue for many baptisms and family weddings including those of my great grandparents Joseph Thorn and Ellen Portsmouth (5 Sept 1869), my grandparents Joseph Henry Thorn and Ellen Martha Cooper(20 Nov 1897), my parents and one of my sisters.